Havelock City, the largest mixed-use development project undertaken in Sri Lanka, has introduces its fourth and final phase of residential towers to local and international buyers. Phase 4 of Havelock City Residential comprises two new luxury apartment towers, namely Edmonton and Peterson, with 340 beautifully designed 1, 2, 3, and 4-bedroom apartments, along with a select number of luxury suites and penthouses. This architectural marvel is 31 floors in height, allowing new homeowners to enjoy views of the city, sea, and green gardens. 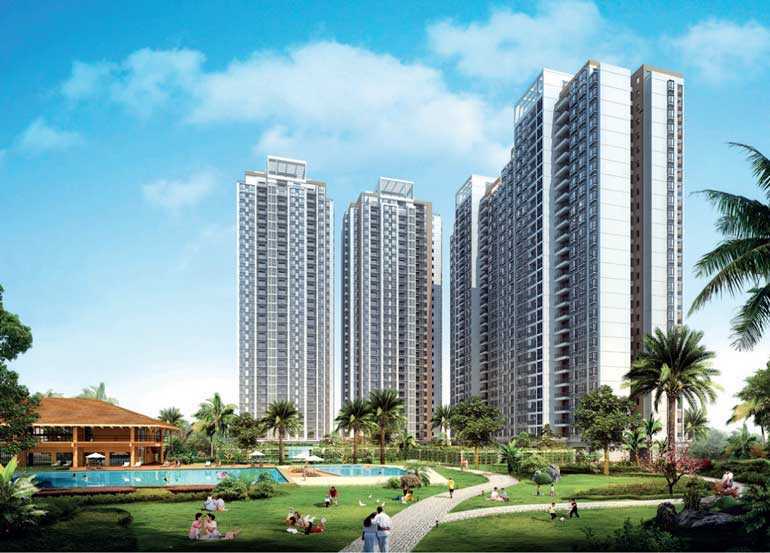 Havelock City introduces you to a brand new way of urban life within 18 acres of space that you can truly call home. The inviting lifestyle is unique and unmatched anywhere in Colombo. Its elegantly designed apartments, spacious green outdoors, and endless amenities give you hundreds of things to do, while escaping the hustle and bustle of the city. Since the journey began with phases 1, 2 and 3, Havelock City’s community can look back on countless fond memories of their lives at the city within a city. A home in the fourth and final phase is an opportunity that cannot be missed, with safe and spacious apartments where you can enjoy the comforts of home. Create a wealth of fond memories with your family and loved ones – they are yours to own with the introduction of these two new towers at Havelock City. In the heart of it all is a clubhouse, the largest of its kind in Sri Lanka, equipped with a range of facilities. This includes swimming pools, squash courts, a mini golf putting green, a launderette, a salon, a mini supermarket, a mini cinema and a restaurant, providing you with all modern conveniences – a mere fraction of the 18 acres of space at your doorstep. The 7-acre lush green garden at Havelock City is a privileged space exclusive for its residents. Comprising tropical foliage, walking and jogging paths, open-air exercise corners and children’s play areas, it is your own private playground – a place where you can take a deep breath of fresh air in the middle of Colombo. It is your own private sanctuary that allows you to unwind in the great outdoors. Coming soon to Havelock City are an office tower and an international standard shopping mall, allowing you to experience some of the world’s leading shopping brands, entertainment and F&B options mere moments away from your own apartment. All 18 acres of space at Havelock City is brought to life by Mireka Capital Land Ltd, a fully owned subsidiary of Overseas Realty Ceylon PLC, which is one of the island’s largest listed property management companies, and has the iconic World Trade Centre Colombo to its credit. Take the first step to begin the journey to owning your new apartment at the fourth and final phase of Havelock City. Call 0772 505 100 for inquiries.